Great organisation that creates a lot of hype. Good atmosphere. Massive pavilions. A ton of people. IT conversations. A lot of great wine. That's how I would describe being at Web Summit in Lisbon this year. The thing that is amazing about this conference is its scale, the amount of varieties and tastes it is coming in. There is something for everybody. I was also amazed how the organizers were able to maintain positive atmosphere 24h/day during the whole conference. And that, exactly, is what separates Web Summit from every other conference out there, when you put aside the fact that you can network everybody, from early stage startups to huge corporations. From fashion to fintech. And don't even get me started on the cool stuff you see there: Robots dancing to Gangnam Style, VR sets and all the Startups and hype created around blockchain. But the thing everybody goes there for is definitely networking. We’ve met a lot of people during the day summit, and in the night summit, but we’d choose the day summit for networking, because with great wine and all the music and dancing, it may happen that you forget the half of people you've met while crawling all the awesome Portuguese pubs. We’ve met a lot of amazing people, but what amazed us were startups and how passionate they are. Their energy is revitalizing. Being at Web Summit helped us promote our business in many ways - but the one that affect us the most is being around startups and developing our strategy to focus on startups furthermore. And the Talks are amazing- listening to people running Google, Facebook and all the other Big players about the business, new technologies etc. is valuable for everyone out there- from rookie programmer to a huge business owner. But, if you're going there for the first time, We would advise you to focus on exploring, don't stress yourself, go with the flow. It is almost impossible to plan anything in advance without being there first. And don't be afraid to approach and talk. People like to listen there (especially if they'll get their turn to talk!) 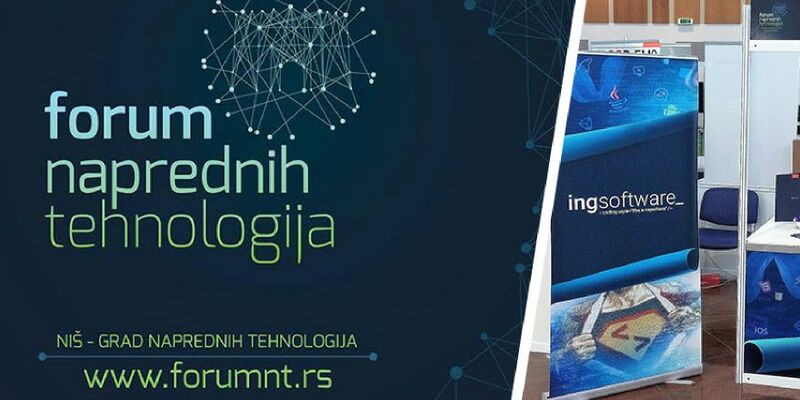 We are so amazed by this conference that we decided to definitely go next year- we may consider to have a stand and even present one of our spinoffs through ALPHA program, but this time, we’ll be prepared for what awaits us and focus more on bringing more people to the summit itself and focus on industries that are interested in what we have to offer. See you there next year! 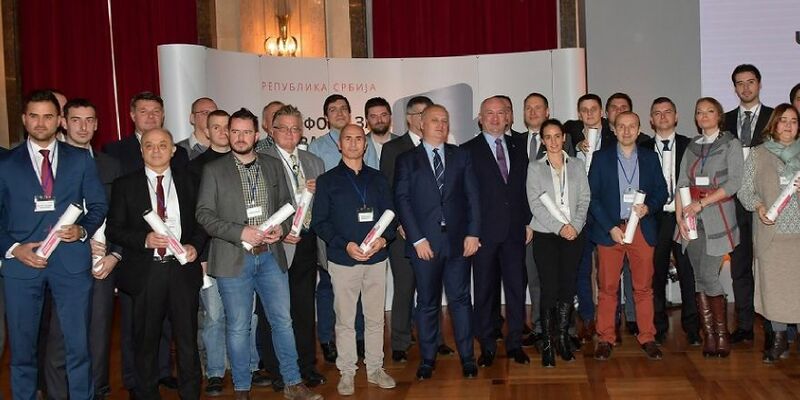 The third Forum of Advanced Technologies was held in Niš, from October 17-19th and Ingsoftware was there to support the local IT community.